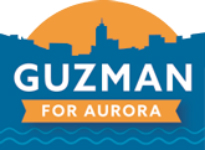 In April 2016 my son Rick announced he was running for mayor of Aurora, Illinois’ second largest city, and his supporters formed Guzman for Aurora. Soon afterwards I thought of iconic New York mayor Fiorello LaGuardia, who famously said, “There is no Democratic or Republican way to fix a sewer,” thus cutting to the heart of the pragmatic, get-things-done mentality that usually motivates a mayor, the city’s chief executive—that word, “executive,” being crucial. It’s no secret that paralysis is a major feature of government these days, especially in Washington, D.C.—though I’m writing from Illinois, widely acknowledged as one of the worst-governed states in the country, a state now entering its third year without passing a budget. D.C. or Springfield, once you get that far past the city level, things seem to enter a shadow world of political horse trading, a world where symbols and accruing power and partisanship become more important than actually doing things or forming alliances that actually do things. That’s the main idea behind Benjamin Barber’s book If Mayors Ruled the World. Cities and the mayors who run them, he asserts, offer the best new forces of good governance. Already the home of half the world’s population (and rising), and the center of cultural and social innovation, cities and their mayors exhibit a non-partisan, pragmatic approach lacking in national, international, and—increasingly—state governments. City executives are freer to work across party lines and to form all kinds of win-win alliances, alliances especially attractive to investors, because mayors are so focused on solving real, down-to-earth problems for real, living communities. Barber is author of another acclaimed book, Jihad vs. McWorld, a 1995 publication also growing in relevance as it explains how a world of both growing convergence (McWorld) and one of growing disintegration (Jihad) are not only happening at the same moment, but also how the two opposing trends are actually part of a single process that has in common a taste for anarchy and a disdain for democracy. 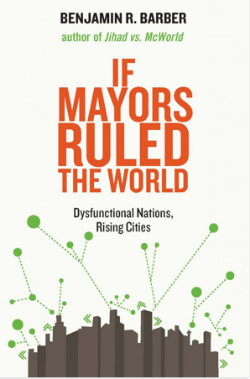 If Mayors Ruled the World is another major analysis of world trends and deeply supportive of democracy. You can easily find lots of discussion of it on the web, as well as a pdf of the book itself, plus a good TED talk by Barber himself. In contrast to Illinois being one of the worst-governed states in America, the City of Aurora has recently been named one of the best-governed big cities in America, and a top place for safety and for families. Mayor Weisner’s leadership has been a major factor in this, and Rick aims to continue on this path and to create new, vibrant directions and initiatives to add to Aurora’s remarkable turnaround. In following posts we’ll report on some of Rick’s win-win solutions, including a recent project which yielded a 70 to 1 return on city investment dollars. Rick and his wife Desiree also founded Emmanuel House, which in 2016 was named one of the “Top 100 Most Innovative” social change organizations in the world. ♦ Go to the “Lead Post” in a series of articles about the Guzman for Aurora campaign. This entry was posted in Social Change and tagged Benjamin Barber, Emmanuel House, Guzman for Aurora, If Mayors Ruled the World, McWorld vs. Jihad, Rick Guzman. Bookmark the permalink.